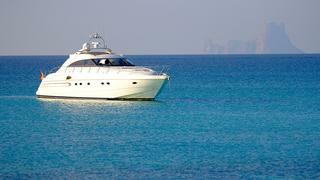 Manzana is one of the most renowned yachts in the island of Ibiza as she has been doing charters for few years and has a fantastic reputation. 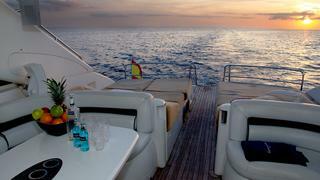 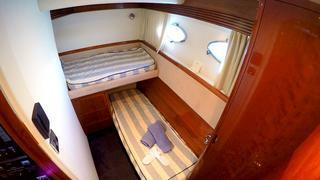 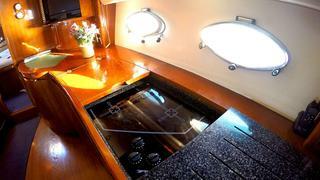 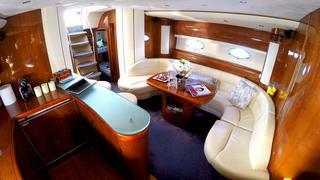 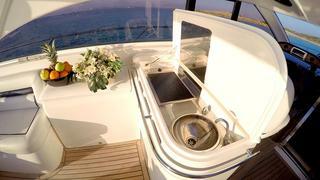 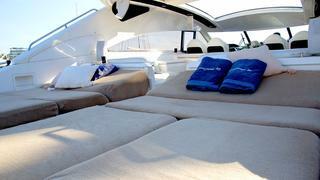 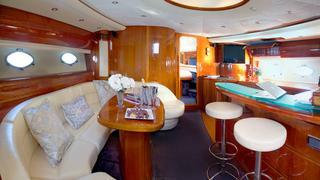 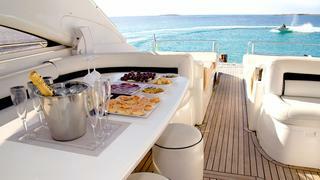 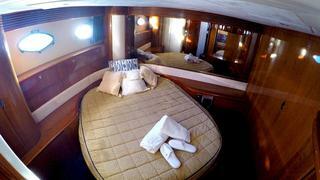 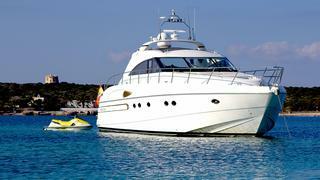 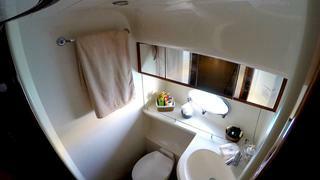 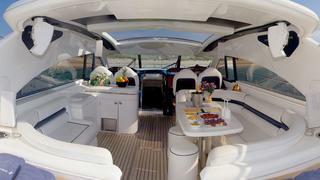 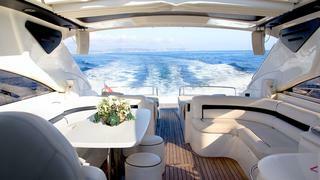 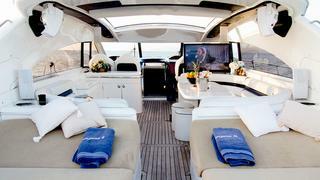 This Princess V65 is perfect for a family charter as offers accommodation for 6 guests in 3 comfortable cabins. 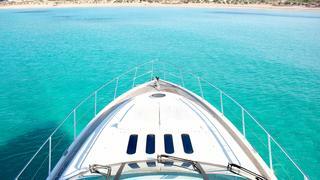 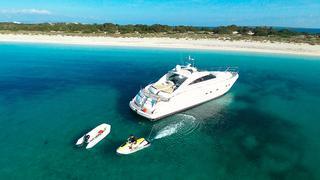 Many clients also rent Manzana for a day charter as can feature 12 guests sailing and the huge deck space is ideal to enjoy the crystal clean waters of Formentera and the beaches of Ibiza.